You are registered! You will be receiving an email with details about the webinar. You want great results at work. We all do. Many of us are working 70-hour work weeks and accepting a constant “hustle” and “grind” mentality to get these results. There’s a better way to approach life and work, and it starts with changing your ordinary habits into smart habits. In an upcoming free virtual speaker series presented by Smart Habit, Reimagine Your Day, our host is Stanford University’s Dr. Fred Luskin. Throughout this webinar, we will walk through how you can maintain sustainable high performance without feeling stretched, overwhelmed and overworked. Want to find out how to reimagine your day with smart habits? Sign up for the series by entering your information above. We will send an email with all the details you need to get started. Dr. Luskin is a best-selling author and Senior Consultant in Health Promotion and the Director of the Stanford University Forgiveness Projects. 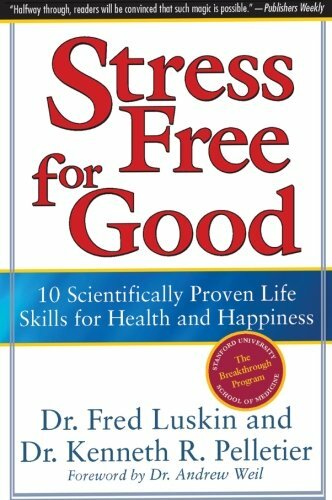 A thought leader in emotional intelligence, Fred has trained lawyers, doctors, church leaders, hospital staff, teachers and other professionals to manage stress and enhance forgiveness all over the U.S.
His work has also been featured in Time Magazine, O Magazine, Ladies Home Journal, U.S. News and World Report, Parade, Prevention, as well as the New York Times, Los Angeles Times, Chicago Tribune, U.S.A. Today and the Wall Street Journal.